I've been a longtime fan of the great pianist Fred Hersch. 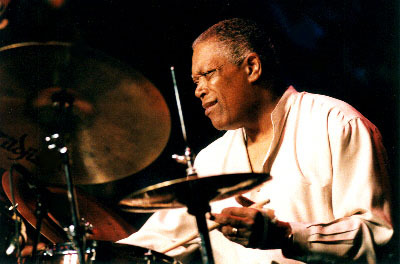 I remember the first time I saw him live was at Blues Alley in Washington, D.C. in the early 90's. Fred was a sideman with the legendary tenor saxophonist Joe Henderson. I recall that the gig started about an hour late. But at last Henderson arrived, and the concert began as if they were warmed up from already playing a few hours. 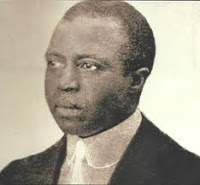 The repertoire was old chestnuts of the Henderson book:"Recorda-Me", "Invitation", "Beatrice", all tunes which are ripe for virtuosic exploration. Henderson did not disappoint, but the highlight was Hersch: he took apart every tune and put it back together as if he had written those tunes himself. I met Fred for the first time at a concert being given by the then-unknown pianist Ethan Iverson (of The Bad Plus fame.). And over the years I ran into him a number of other times. I always admired the sound that he produced from the piano: always clear, ringing, and beautiful, even, consistent, and warm. I always felt that, as a relatively untrained pianist (my previous instruments were trumpet, then drums), I would never be able to approach that type of pianistic tone. I came up playing with loud drummers and playing on crappy pianos and not-so-crappy-but-still-less-than-authentic keyboards, so my approach to sound production was bang, bang harder, and then bang as hard as you can until you have tendonitis. 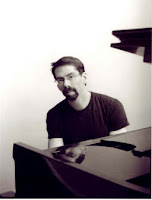 However, it was suggested to me by a colleague that a lesson with Fred Hersch might actually do wonders for my technique. Indeed, his teaching studio has included great young pianists like Iverson, Sam Yahel, and Brad Mehldau. So I had the idea to take a lesson with Hersch as mental post-it note for a long time. But it wasn't until I ran into him one night at Small's that I decide to seize the moment. "Are you sure you want to take a lesson?" challenged Hersch, in a friendly way. "Of course," I replied, "I'm always trying to improve, and I also want to have a different perspective on sound production for my students." Hersch agreed to meet me at his apartment in Soho for a lesson a few weeks later. Luckily, I was able to see Hersch give a demonstration of the practical application of his techniques in the form of a set at the famous Village Vanguard Jazz Club. The trio was fantastic: bassist John Hebert of Baton Rouge, who is now a regular in Hersch's group, and legendary drummer Billy Hart, who was subbing for the great Eric McPherson. I was amazed at the presence of the piano sound: no matter where the music went, the consistency and roundness of the piano voice was so warm yet still shimmering. Even when there was a lot of rhythm going on, Hersch had total control of the sound. Mr. Hart played tastefully yet interactively as always. I was mesmerized by Hebert, who played an acoustic bass with a low C string (instead of the usual E string). 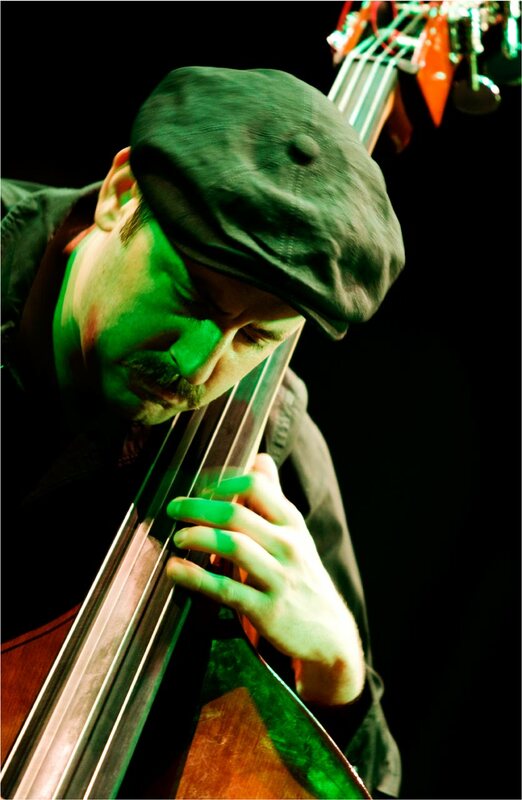 Hebert's darkly sustained sound and ultramodern approach sometimes reminds me of Drew Gress, another great bass player and a long-time associate of Hersch. But I think Hebert has come into his own style, and his command of the instrument is indisputable. I was surprised by some odd-meter standards that really gave the trio an opportunity to take rhythmic chances and emerge victoriously on the beat! Since that night at the Vanguard, I've been checking out Hersch's two most recent CDs. One is called Whirl, featuring Hebert and McPherson back on the drums. A satisfying mix of standards and originals, the standards are well arranged and the originals are memorably melodic. 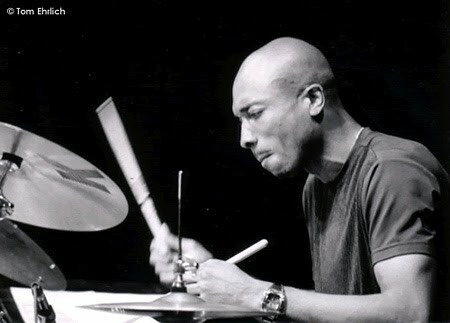 "You're My Everything" begins with a beat by McPherson which is part Vernel Fournier, part Art Blakey, a bit of Jack Dejohnette; it's kind of latin-ish but swinging…it's not a beat, really, it's just an approach which feels solid, groovy and free all at once. Hersch starts out soloing as if they cut in mid-performance. As expected, ideas are abundant, and Hersch makes a minor third modulation (from G major to Bb major) part of the form. Fred definitely has some Bill Evans-ish vocabulary, but it's not forced; one phrase or texture or development easily leads to the next one. At last, the melody appears and the trio vamps out softly on EMaj7 with some light impressionism from Hersch. There's a lot of different influences on Whirl. 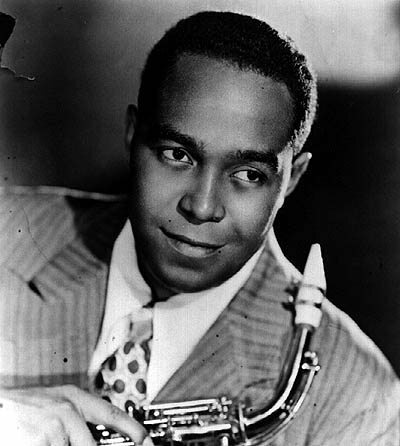 There's some playful bebop on "Skipping" and "Mrs. Parker of K.C. ", where the title and the tune reference the father of bebop, altoist Charlie Parker. "Mandevilla" uses the Cuban Habanera rhythm with some Herschian harmonic modulations. The title tune "Whirl" kind of reminds me of Schubert's famous lieder "Gretchen am Spinnrade"(Gretchen at the Spinning Wheel) but doesn't lose the intense jazz-waltz character. I'm impressed with how Hersch and the trio are able to channel all of these various influences and hone it into one complete performance. You'll want to sit down and listen to this CD straight through, as if you were hearing them do a set at the Vanguard, just to hear the cohesive variety. "Por Toda Minha Vida" and "Luiza" are absolutely breathtaking, especially the latter tune; I was so moved by the melancholy of this track that I think someone should write, cast, and produce a tragic French film solely around Hersch's performance of the song! (OK, let's not get carried away...) But at times I was thinking about two solo pianists who I love to listen to; Bill Evans and Keith Jarrett. In my humble opinion, Hersch gives them a run for their money with this collection. 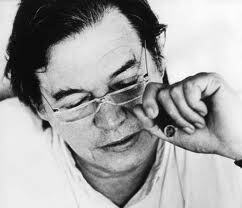 Antonio Carlos Jobim was a Brazilian composer who combined the harmony of Chopin with the rhythm of the Samba. One would be remiss to omit Hersch's rhythmic prowess on the samba tunes. This is no easy feat as a solo pianist; Brazilian music requires a certain bounce, especially from the bass, and it's hard to technically cover all the bases (no pun intended) and make it feel complete (believe me, I have tried...). When you listen to performances like "Meditacao", you never miss the band; Hersch covers it all, with a lot of rhythmic liberties but never letting the samba suffer. "Brigas Nunca Mais" is one of my favorite tunes (I got to hear Joao Gilberto sing it live at Carnegie Hall years ago), and Jamey Haddad joins Hersch on some gentle agogo bells, an originally African instrument but considered traditional in Brazilian music. A sensitive rendition of "Corcovado" ends the concert in a relaxed, mature way. I think Fred Hersch really balanced the energy well on this CD; there's great samba energy, but also he captures the chamber music feeling of bossa nova. A masterwork like this makes me rethink my approach to piano playing. Maybe I'll have to go for another lesson next time I'm in New York. I've made it a point to collect everything I find by Fred Hersch. He has long proved himself as one of the greats of his generation with a distinctive sound on piano and gift for writing memorable songs. The interesting thing is that Fred Hersch's playing sounds so unforced and non-showy, some friends of mine who are avid jazz listeners don't get him. For those who do have the ears, hearing his music is a very profound experience. His CD tribute to Strayhorn from a few years back has always been one of those recordings I've returned to again and again, when I needed something to feed my soul.